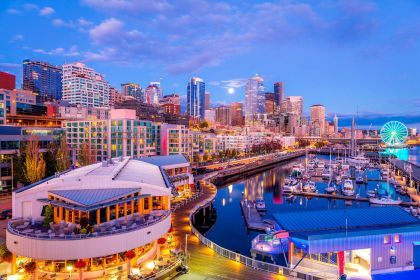 The exquisite city of Seattle is a place where you encounter long-established traditions, scrumptious seafood chowder, fresh oysters, delightful neighbourhoods, wonderful bakeries, fish tossing vendors and stunning urban skyline. 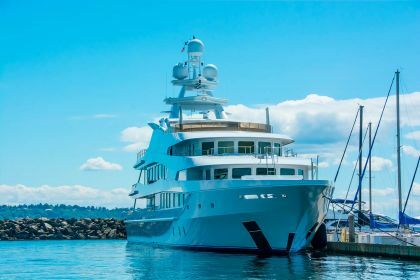 The largest city in the Pacific Northwest, Seattle is a great luxury yacht charter destination, with perfect yachting infrastructure and so much to experience when you step off from the flybridge of your luxury vessel. 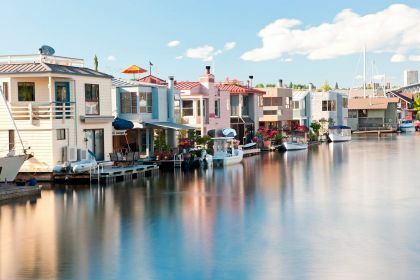 Opt for a private yacht charter vacation to enjoy Seattle, the Emerald City, with its famous fish market, lush green parks, high end waterfront restaurants, raw bars and so much more. There is no way you can miss Pike Place Market in downtown Seattle. Genuine Alaskan crab and lobster tails, fragrant flowers and exotic rambutan fruit from Southeast Asia, freshly caught octopi and handpicked berries, a sumptuous feast of colours, smells and flavours is vying for your attention. Pike Place is also home to a few restaurants including the Emmett Watson’s Oyster Bar, the oldest existing establishment of this type, where oysters, raw or broiled, are proffered with parmesan, bacon and butter. Are you into modern art? If so, don’t miss the colours and shapes of Chihuly Garden and Glass. Aesthetically invigorating, eerie and unusual, you leave this place with vivid memories and awesome photographs. Glassblowing shows taking place at regular intervals make the visit still more interesting and entertaining. From Chihuly Garden, if the day is sunny, head to the Space Needle nearby for the aerial view of the city and beyond. 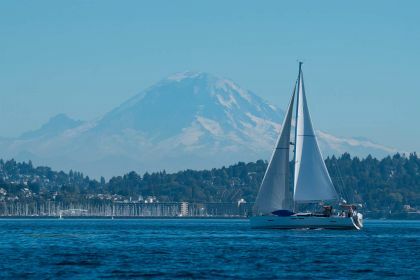 Enjoy the snow-capped Mount Rainier, the icon of the Washington landscape, the ocean, magnificent Seattle skyline and, probably, your own luxury yacht moored in the nearby marina! 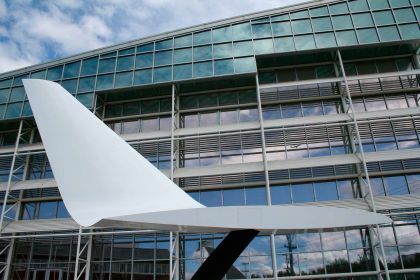 Even if you are very far from being a computer geek, you’ll easily spend a thrilling couple of hours in Living Computers: Museum + Labs. You’ll see (and play with) olden days computers and modern robots. If a trip back in time, the games you used to play in the 1980-ies, and a chance to make your own game sound good, you’ll find this interactive museum on the 1st Avenue South. Two richest people on the planet, Jeff Bezos and Bill Gates, live in Medina, a suburb of Seattle situated right across Lake Washington, and share the same scenic waterfront with other tech billionaires. Bill Gates’ residence, nicknamed Xanadu 2.0, is about half a mile away from that of Jeff Bezos, and the whole neighbourhood is worth exploring for the sheer exclusivity of this spot. Medina, 15 minutes east of downtown Seattle, gives an overall impression of lush evergreens, impeccable landscapes and solid fences. Seattle is home to innovative restaurants, hip bars and best craft beers you’ll ever come across. And, of course, oyster places. The Walrus, The Carpenter is exclusively an oyster place, serving from 9 to 12 oyster varieties with a long list of white wines to choose from. Anchovies Olives, on the other hand, offer mackerel, scallops, salmon, halibut, octopus and clams in addition to at least four varieties of oyster. Seattle is not all about oysters though. Plates groaning under the weight of scrumptious food, wild boar ragu, house-made sausages, delightful steaks and seafood stews proffered in many local restaurants are a delight to even the most cantankerous palate. Then there are Japanese restaurants with American twist, where you can try unbelievably fresh sushi, sashimi and nigiri, plus high-end Italian restaurants with their multi-course fine-dining experience, particularly Spinasse, serving Northern Italian, Piedmontese food at its very best. Excellent service, fresh local ingredients and innovative cuisine turn a trip to Seattle into a memorable culinary adventure. Indian Pale Ale or American Amber Ale, depending on your preferences, can make an excellent food souvenir to take home from your Seattle yachting adventure. Lounges, pubs, dance clubs, dive bars, music venues – you have plenty of options to have fun at night. Seattle is full of places that pump the beats and flash the lights, and here you can even find a place where Kurt Cobain played some his first gigs back when Nirvana was beginning. For some alternative rock music today head to the Tractor Tavern, the Showbox, the Sunset Tavern or Barboza. Drum and Bass as well as Trance music is playing for you in the Underground, the Belmont Lounge serves you some excellent whiskey based cocktails, Rockin’ Horse Dance Barn invites grown-ups for dance classes, Deep House music is played in the Monkey Loft, in Unicorn you find pinball and other arcade games in the bar downstairs and listen to the music upstairs, in Vue Lounge they play hip hop on Fridays and EDM mashup on Saturdays. And then there is the Beer Authority. 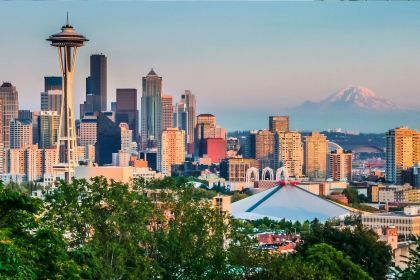 Spending a night in Seattle is a great way to relax and de-stress for anyone 21+. Start preparing for a dream yachting vacation in and around Seattle. Contact our seasoned charter broker and let’s see if a luxury catamaran, a state-of-the-art sports yacht or a brand new classic yacht is best for your Seattle yachting journey. No product to display. Please try again using different criteria.